Sat., Aug. 18, 2018, 4:08 p.m.
SACRAMENTO, Calif. – California lawmakers are abandoning a proposal by Gov. 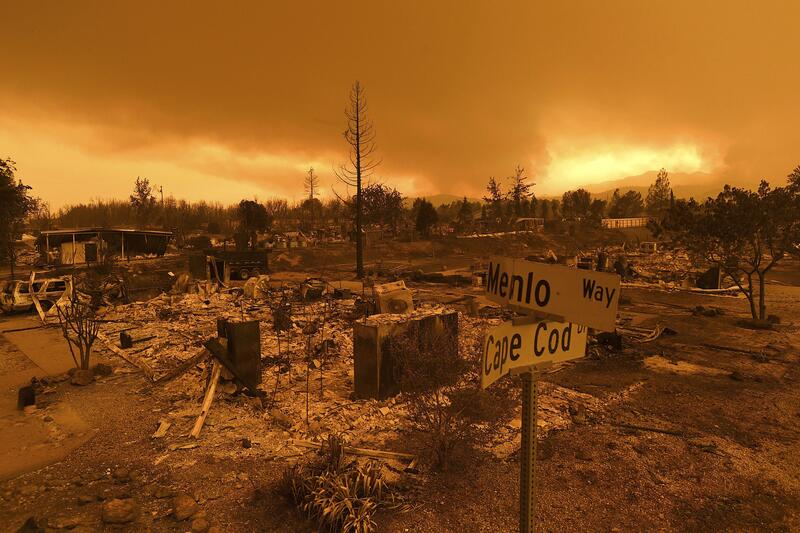 Jerry Brown to shield electrical utilities from some financial liability for wildfires. For now. There’s not enough time to settle the contentious and complex issues involved before the legislative session ends Aug. 31, Napa Democratic Sen. Bill Dodd told the San Francisco Chronicle on Saturday. “It was a tough fight … so we are pivoting,” said Dodd, co-chairman of the legislative conference committee on wildfire preparedness and response. Brown’s proposal would have let judges decide how much utilities pay when their equipment causes wildfires. It would have softened a legal standard that generally holds them entirely responsible for the costs of fires triggered by their power lines or other infrastructure. Lawmakers raised concerns about Brown’s plan at an Aug. 9 hearing on the proposal. They said it would give utility companies too much protection without ensuring they safely maintain equipment. It’s unlikely they’ll drop their fight but they will lose a key ally in Brown, whose term ends in January. Published: Aug. 18, 2018, 4:08 p.m.